Heavenly Sword was originally released as a game on PlayStation 3 in September of 2007. Back then, the game was very well received and had some amazing gameplay and graphics. Seven years later, a movie adaptation was born. Did the Heavenly Sword film live up to the sheer amazingness associated with the game? 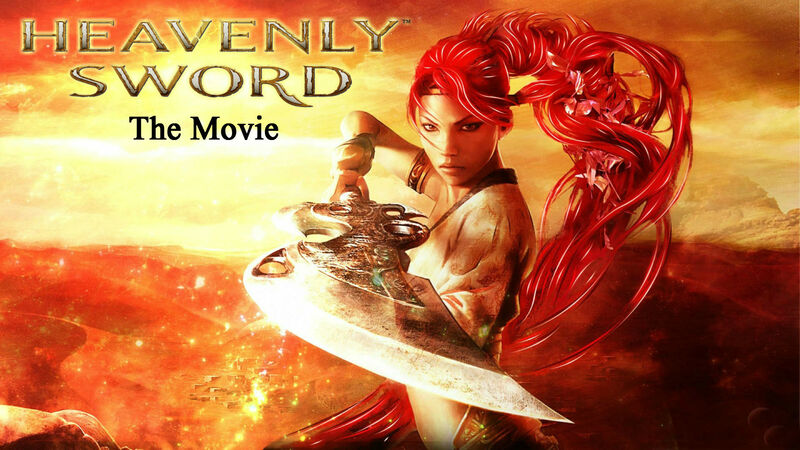 Read our Heavenly Sword movie review to find out! To begin with, let’s shed some light on what the story of Heavenly Sword is all about. Thankfully, the plot of the film follows that of the original game very closely. The heroine of the story, Nariko, is a member of an ancient tribe who have been charged with guarding an ancient magical sword for thousands of years. This tribe is also tasked with bringing the sword to its destined wielder, a “chosen-one” who is the reincarnated form of a deity thought to bring peace to the land. During her search for the “chosen-one”, Nariko is forced to wield the sword against the forces of King Bohan, a man who wishes to possess the weapon himself. Nariko is a strong female heroine who, thankfully, hasn’t been too overly sexualised. You first meet her in the film when she jumps in to protect Kai, another character from the game you might remember. It’s here that we first get to witness a fight scene including some stunning choreography. This is one of the main pluses of the Heavenly Sword movie, but I wish the animators put the same amount of effort into giving each character more personality. No-one seems capable of a smile, except for Kai and some of the manic enemies Nariko faces on her journey. I understand Nariko is very stoic and her entire tribe are tasked with a rather heavy burden, but it would be nice to see some kind of emotion apart from looking bored/displeased. Being someone who never had the chance of the playing the original Heavenly Sword game, I feel the story in the film did a good job at explaining what was going on and why it all panned out the way it did. At eighty-six minutes long, the Heavenly Sword movie packed a lot of story in and also did a great job at incorporating a tonne of action and flashy swordplay. Despite how good the choreography was, it all felt way too one-sided. Nariko would be able to slice through any enemy with hardly any difficulty at all. I quite enjoy watching choreographed fight scenes when both the protagonist and enemy are moving with one another rather than just standing there awaiting their inevitable death. In terms of character design, Nariko and Kai were represented in a way that showed how much love went into their creation. However that was about it. Every character from there on out looked like they could have used a bit more work on them. I understand these are all characters that appeared in the game, but for some reason the ones portrayed in the film didn’t do their game-versions justice. Graphically speaking, the Heavenly Sword movie looks a bit dated, even for a film made in 2014. The environments are beautiful and, at times, incredibly realistic looking. But when it comes to character models and movements, things start to look a bit off. Even the game made seven years prior had much better graphics and animations. Music-wise, Heavenly Sword the movie provides quite a good experience. The entire movie is accompanied by a very beautiful and atmospheric soundtrack to match the events transpiring before your eyes. Unfortunately, the voice acting is really quite horrid. Nariko sounded the way I expected her to, but everyone else (especially Kai) had voices that grated on my nerves. Overall the Heavenly Sword movie does the original game justice in terms of action, storyline, music and choreography. Everything else from voice acting to graphics just weren’t enjoyable. Not only that but there were a good deal of continuity errors such as scars appearing on different sides of someone’s face, clothing being reversed etc. These mistakes seemed to give away a sense of the film being rushed and not carefully looked over. I was a little disappointed to not see any kinds of extra features on the blu-ray, but at least the box art was nice to look at! If you’re a fan of Heavenly Sword, I don’t recommend seeing the movie. Stick with the game. But if you’ve never played the original 2007 hit, the film is quite a good introduction to the positively reviewed game. Heavenly Sword was originally released as a game on PlayStation 3 in September of 2007. Back then, the game was very well received and had some amazing gameplay and graphics. Seven years later, a movie adaptation was born. Did the Heavenly Sword film live up to the sheer amazingness associated with the game? If you're a fan of Heavenly Sword, I don't recommend seeing the movie. Stick with the game. But if you've never played the original 2007 hit, the film is quite a good introduction to the positively reviewed game.